WATERCHASE BEAUTY...Spectacular CURB APPEAL....IMMACULATE and very SPACIOUS 4 bed, 4 bath, HOME OFFICE with French door, upstairs GAME ROOM with kitchenette AND separate MEDIA room. Just under 4300 sf on ~1/3 acre FENCED lot with serene wooded conservation backdrop. All 4 bedrooms on first floor. Jack and Jill bath /secondary bedroom layout with FLEX SPACE - terrific whether for cozy TV/reading spot, homework station or playroom... Master Suite fit for royalty PLUS great SITTING ROOM ( great WORKOUT area!) adjoining bedroom and Master Bath has everything from separate shower, separate double vanity and large Roman tub. Kitchen is FABULOUS - Open to family room (FIREPLACE) with incredible cabinetry, abundant storage and work space, as well as lovely BREAKFAST NOOK. Separate dining room. Expansive screened lanai. Oversized 3 car; SIDE LOAD GARAGE. Extras include PLANTATION SHUTTERS, BUILT-IN CLOSET ORGANIZERS, CROWN MOLDING and hurricane shutters! GATED community with RESORT AMENITIES including Clubhouse and workout room. 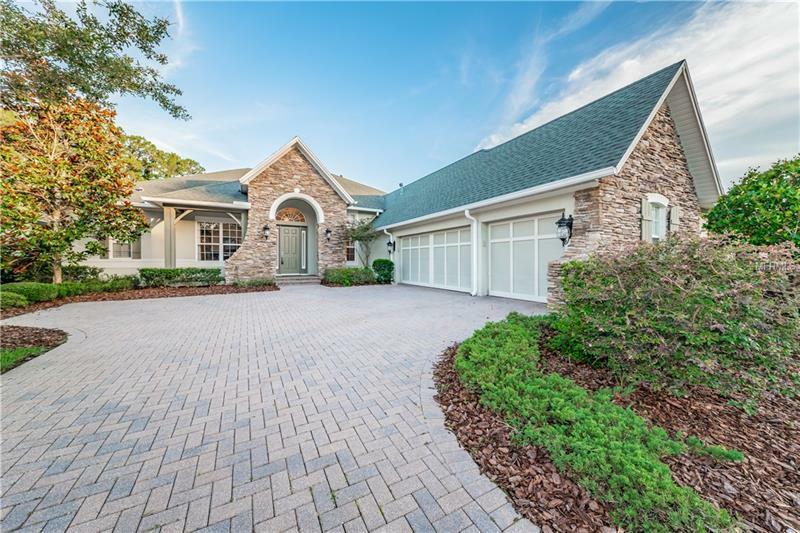 In one of the most highly regarded neighborhoods in Tampa Bay on spectacular street with lots of natural beauty all around , this Aberdeen Village home in Waterchase offers VALUE like no other ! Fully loaded with all the space one could want with a beautiful PRIVATE backyard , incredible neighborhood amenities, EXCELLENT SCHOOL DISTRICT, and fabulous commute location whether heading to downtown Tampa or St .Pete; USF Moffitt area or of course, the world renowned BEACHES of Pinellas county!